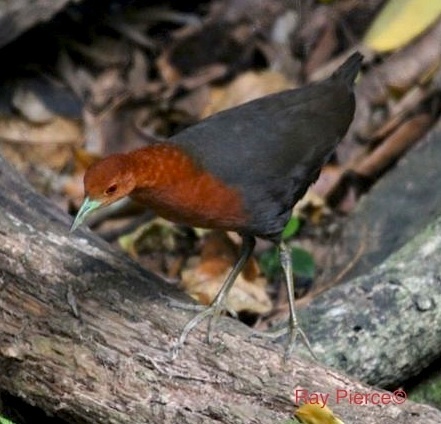 This timid rail lives in our rainforest floor where it rests in damp places during the day and comes out to feed around dusk. Mainly sedentary but hard to see, its presence is given away by its harsh rapidly repeated call. Breeding: Between December and March in either a nest about 2m above the ground or on the ground in a bowl of leaves. Three to five eggs are glossy white (37 X 27 mm).